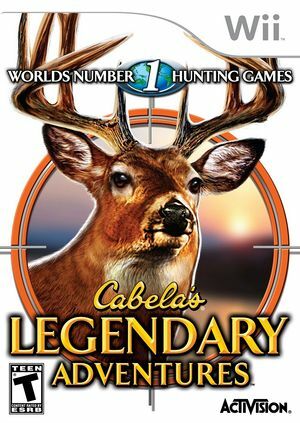 In Cabela's Legendary Adventures players embark on epic hunting expeditions over the last century in search of legendary trophy animals in the world's most celebrated hunting locations. Environments like the Yukon Territory and the Rocky Mountains are free-roaming and full of wild game - the hunter must adapt to the terrain, track animal behavior, and master precision firearms. The title focuses on ten big game species including White-Tailed Deer, Alaskan Brown Bear and Roosevelt Elk, but there is also a variety of species of small game, waterfowl, upland birds and turkey to hunt if you possess the expertise. The graph below charts the compatibility with Cabela's Legendary Adventures since Dolphin's 2.0 release, listing revisions only where a compatibility change occurred. This page was last edited on 18 October 2017, at 10:11.